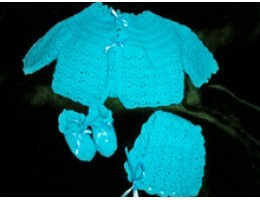 This set fits 3- to 6-month size infants and includes a sweater, bonnet, and booties. The perfect gi.. This set fits smaller infants from 3 to 6 pounds. 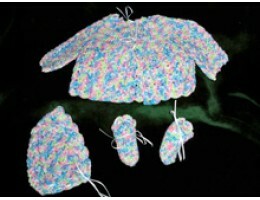 These items are crocheted from 3-ply acrylic yarn ..
Who says baby sweaters and blankets have to be done in pastels? 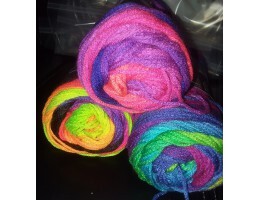 Babies love bright colors so here ar..